Right: right side - but both look nice! Use two needles, one four sizes larger than the other. 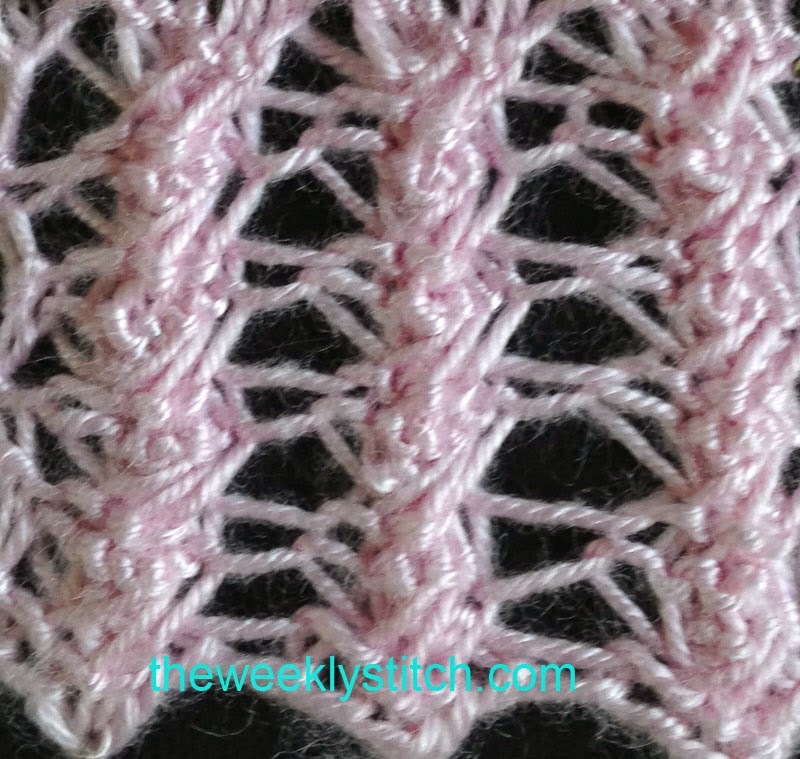 Repeat these two rows for the pattern. 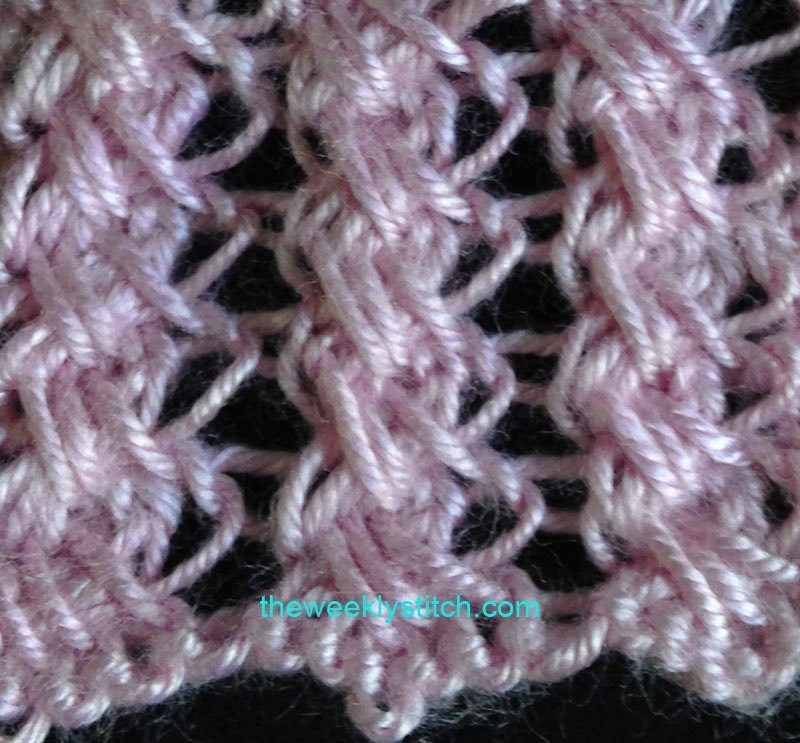 Cast on and bind off edges will be scalloped.